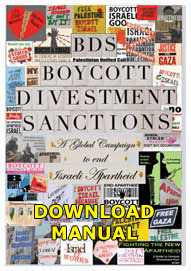 These nonviolent punitive measures of boycott, divestment, and sanctions (BDS) are to be maintained until Israel meets its obligation to recognize the Palestinian people’s inalienable right to self-determination and fully complies with the precepts of international law by ending its occupation and dismantling the Wall; recognizing the fundamental rights of Palestinian citizens of Israel to full equality; and respecting the rights of Palestinian refugees to return to their homes and properties as stipulated in UN resolution 194. As the Palestinian BDS National Committee recently wrote in its statement of solidarity with Occupy Wall Street, “Our aspirations overlap; our struggles converge.” The Global Justice Working Group joins with activists across the world committed to raising awareness of Israel’s violations of human rights and to linking our various struggles for justice. Toward that end, we offer this list of resources to learn both about Israel’s apartheid policies and practices and the growing global BDS movement that aims to hold Israel accountable. 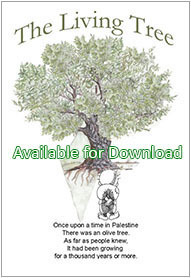 This is the web site of the Palestinian Boycott National Committee. It serves as a central hub for the global Boycott, Divestment & Sanctions Movement in support of Palestinian rights. 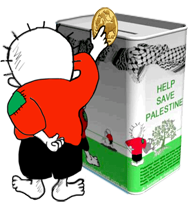 Adalah-NY is an all-volunteer, NYC-based group that supports the Palestinian call for BDS through targeted campaigns and education about the the growing boycott movement and Israel’s repression of Palestinian activists. In addition to cultural boycott initiatives, it runs campaigns against Israeli settlement builder Lev Leviev and U.S. pension giant TIAA-CREF (see below). Members of Park Slope Food Coop (PSFC) who are working to pressure the Food Coop to join the BDS Movement and to deshelve Israeli goods. This is an international boycott campaign against Ahava Dead Sea Laboratories, an Israeli cosmetics company with its factory, visitors’ center and research center based in an illegal settlement in the Occupied West Bank. A national coalition of more than 380 groups, the US Campaign to End the Israeli Occupation works to end U.S. support for Israel’s occupation of the Palestinian West Bank, Gaza and East Jerusalem. The coalition supports the BDS Movement and a U.S. policy that upholds freedom, justice and equality. TIAA-CREF is one of the largest ﬁnancial services in the United States, considered to be one of the largest retirement systems in the world. This campaign aims to pressure TIAA-CREF to stop investing in companies that proﬁt from the Israeli occupation and violations of Palestinian rights.